2011 is off to an ENERGETIC start in the Charlotte region. The Queen City is abuzz over Monday’s news that Duke Energy and Progress Energy are merging to create the nation’s largest utility. 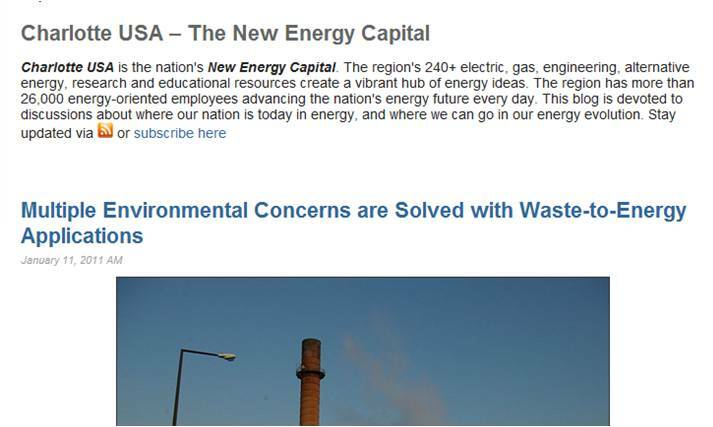 Last week, the folks at the Charlotte Regional Partnership launched a new blog, The New Energy Capital, that focuses on power-industry developments in the region and the nation. Read the blog here.